Bacon Freak Bacon Bandages | BUDK.com - Knives & Swords At The Lowest Prices! Got a cut or scrape? 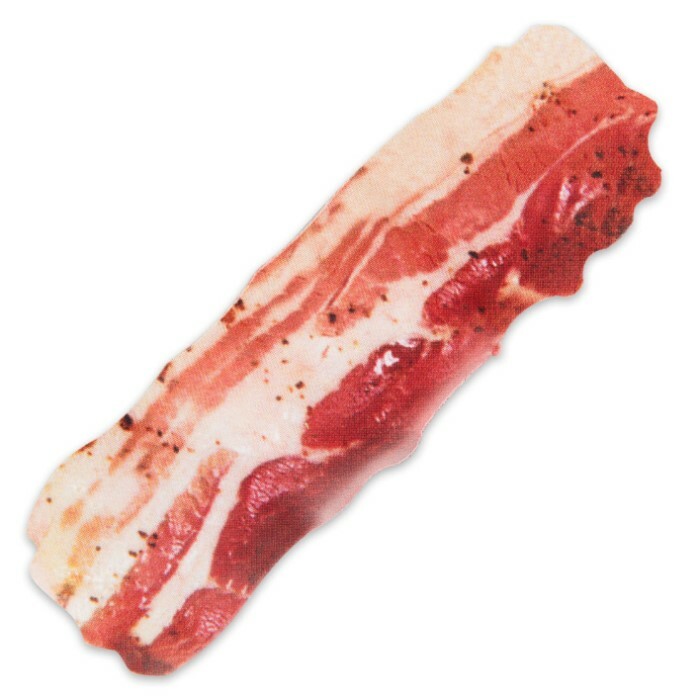 Slap a little bacon on it! Bacon cures everything! 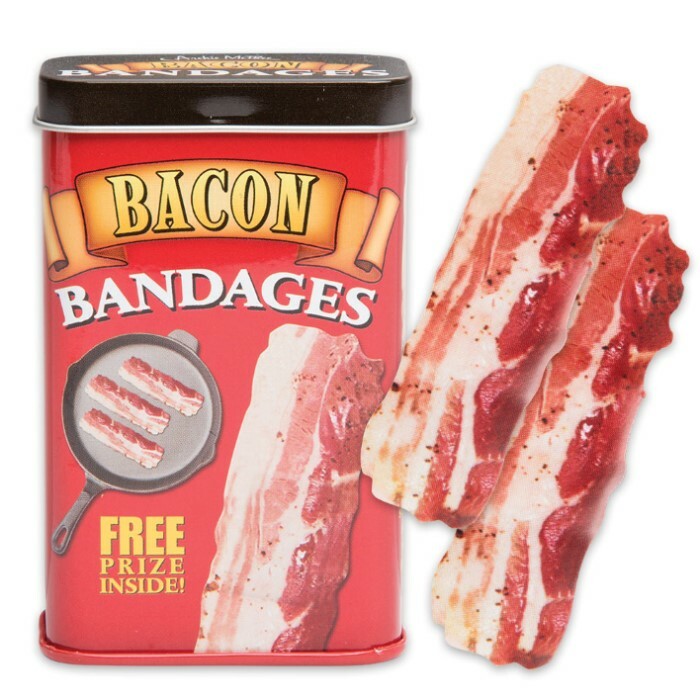 These fun bacon-shaped adhesive bandages are sure to bring a smile to anyone’s face. 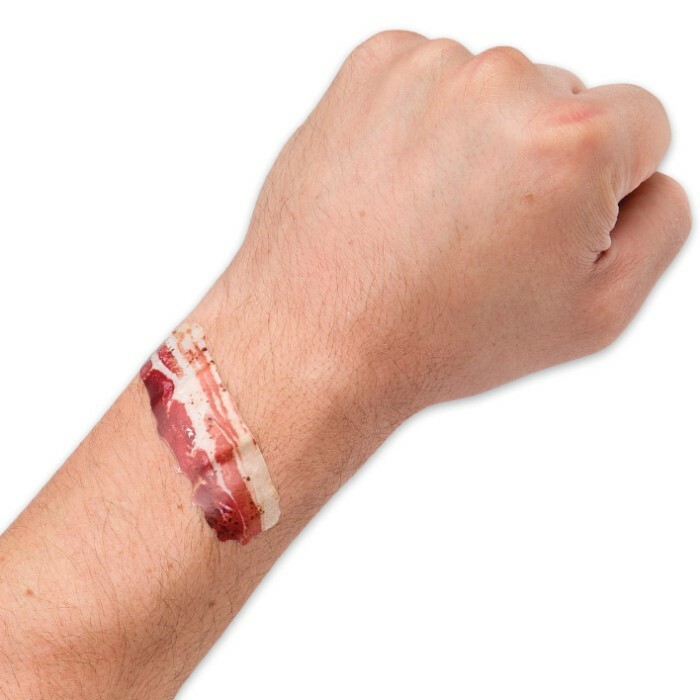 Kids will absolutely love these realistic bacon strip bandages. The metal tin contains 15 die-cut sterile strips that are super adhesive. The bonus is that a surprise toy is also included inside the tin.